What a dramatic stage finish at the top of the legendary Alpe d'Huez. And what an epic Tour this has turned into for the Continental teams as the race passed through the Alps. 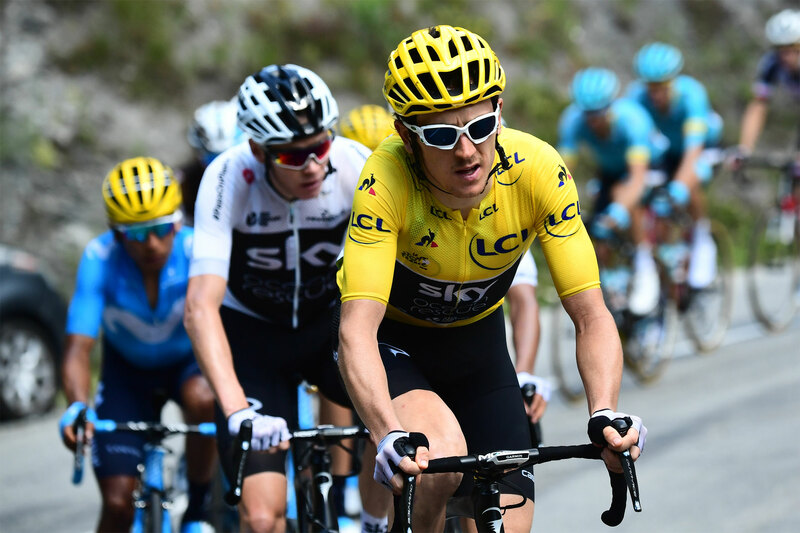 Geraint Thomas, whose anticipated role in Team Sky was to be a super-domestique for defending champion Chris Froome, is wearing the race leader's yellow jersey as the Tour de France leaves the Alps after Stage 12. 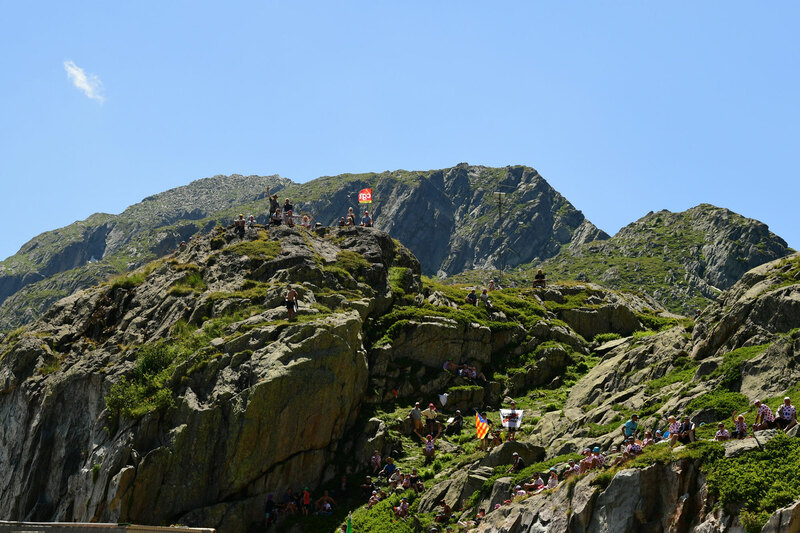 The race's three stunning stages through the Alps have seen some spectacular riding by the Continental teams. Thomas used his lead of more than a minute over Froome from the first nine stages to move into the yellow jersey with a mountain-top stage win on Stage 11 at the summit of La Rosière. Which raises some interesting questions about how his success might influence Sky's team orders as the race unfolds. Froome's right-hand man attacked six kilometers from the finish, accelerating away from a small group of top favourites. Four-time Tour winner Froome defended for him in the group, before jumping onto Dan Martin's wheel when Martin (Team UAE) counter-attacked to try and chase Thomas down. The next day saw Thomas leading from the front in the yellow jersey, in a small breakaway group with Froome, Bardet, Nibali and Dumoulin. When Thomas unleashed his sprint coming out of the final corner at the top of the Alpe d'Huez, none of the other riders were able to hold his wheel. That raises an exciting question as the race heads towards the decisive Pyrenean stages. Is this a new tactic by Team Sky? Have they been deliberately playing down their new star's chances? Or are Sky just trying to draw attention away from Froome? Against that background of uncertainty, one thing that was very clear is that even when competing against the world's best cyclists, Team Sky and their Continental tires delivered an impressive display of choreographed dominance in this 105th Tour de France. The stage to the summit finish at Alpe d'Huez saw success for several other riders using Continental tires. The select leading group of five riders contained Thomas, Froome, France's Romain Bardet (AG2R) and also Spain's Mikel Landa (Movistar) in fifth place. Thomas, the 32-year old Welshman who came into the Tour as Sky's "Plan B", looks to be the man with the best form at the moment, and the rider most likely to stand on the top step of the podium for Team Sky at the Tour's victory ceremony in Paris on July 29. "Honestly, I'm speechless. Hopefully I can enjoy being in yellow tomorrow because it was hard to enjoy it today – the race was too hard. For me, who knows, anything could happen, I could have a bad day and lose 10 minutes" said Thomas, who now leads the race by 1:39 minutes from his teammate Froome. Dumoulin is in third place, at 1:50 minutes. Another top rider who is close enough to the race lead to turn the general classification on its head in the Pyrenees is also using hand-made tires produced in Korbach. Vincenzo Nibali (Bahrain-Merida) crashed four kilometers from the finish on the final climb of Thursday's queen stage, but bravely remounted to finish close to the leaders, putting him 2:37 minutes down on GC in fourth place overall. As the Tour leaves the Alps, six of the top ten riders on the general classification are riding on Continental tires, which serves to underline the quality of Conti's hand-made tires from Korbach. Sky's dynamic duo Thomas and Froome lead the GC, with Vincenzo Nibali (Bahrain Merida) in fourth place and Romain Bardet (AG2R) sixth. Other Conti riders in the top ten are Mikel Landa (Movistar) in seventh place, and his teammate Nairo Quintana in ninth. After the queen stage leading up to Alpe d'Huez, three of the race's six jerseys (race leader, sprint points classification, mountains classification, best young rider, team classification and combativity prize) are held by riders using Continental tires. As well as Thomas in the yellow jersey, Pierre Latour (AG2R) is wearing the white jersey as the Tour's best young rider. The best team, decided by adding together the times for their riders, is the Spanish Movistar team, who also use Conti tires. The other teams using Continental tires have also ridden impressively over the nine flat stages of the opening week and the three hard days through the Alps. 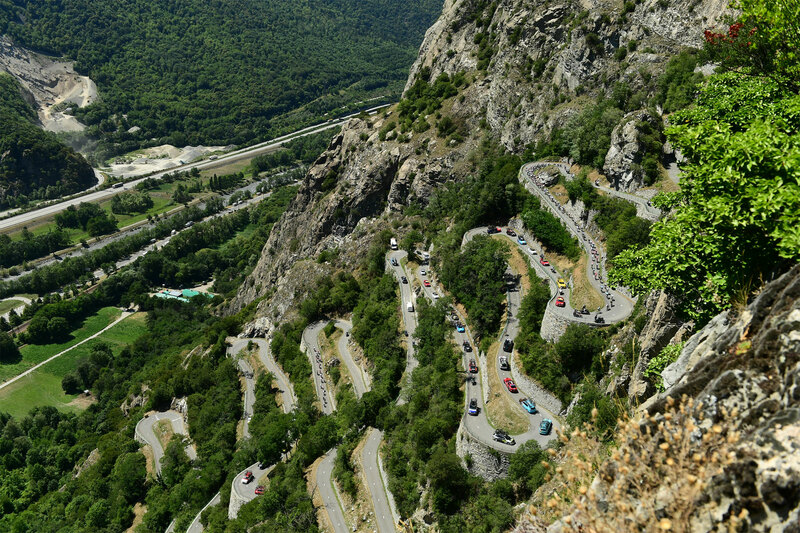 The difficult stages to the mountain-top finishes in La Rosière and Alpe d'Huez claimed a number of victims. Several riders, including some leading names, had to call it a day and climb into the broom wagon. Team Dimension Data are another squad using Continental tires, and their best rider on general classification is Belgium's Serge Pauwels, in 24th place overall. Young French rider David Gaudu is in 32nd place overall, leading the way for Conti team Groupama-FDJ. Of the 176 riders who set off on the three-week Tour of suffering when it started from the Vendée on July 7, many will not make it all the way to Paris on July 29. Even Continental's teams are not spared. There are a lot of reasons why a rider might climb into the broom wagon, the infamous voiture balaie. Illness, a crash, or simply having a bad day in the mountains that means a rider isn't going to reach the finish within the seven per cent time limit. Any of those can see a rider's Tour dreams over for another year. This year, riders leaving the race early include Dimension Data's top sprinter Mark Cavendish, who failed to make the time limit on Wednesday, but still rode all the way up the mountain to the finish line, as a matter of professional pride and respect for le Tour. His teammate Mark Renshaw met with the same fate. In fact, there are only a few sprinters left in the race, which is affecting more than just the Continental teams. Before the riders can start to think about Paris, though, they face three transition stages on Friday, Saturday and Sunday ahead of Monday's second rest day in Carcassonne. Then they face the arduous test of the stages along the Spanish border, through the Pyrenees. The climb of the Col du Portillon just before the finish of Stage 16 to Bagnères-de-Luchon will see the first selection being made. The hardest Pyrenean stage is on July 26, from Lourdes to Lauruns, with the climbs of the Tourmalet and the Aubisque awaiting the riders along the way. If the race is still unresolved by the time the Tour leaves the Pyrenees, the outcome will be determined by the 31-kilometer hilly time trial next Saturday.